The Vice President of the Delaware County Fair Board was recently honored in Las Vegas. Kurt Palmer, a six-year Fair Board member, was recognized as a graduate of the “Institute of Fair Management” at the Annual Convention of the International Association of Fairs and Expositions. The “Institute” is made up of 32 short courses covering the areas of core competency necessary for today’s professional and volunteers involved in the production of their agricultural fair. The courses cover management, risk management, marketing, programming, operations and year-round facility usage. 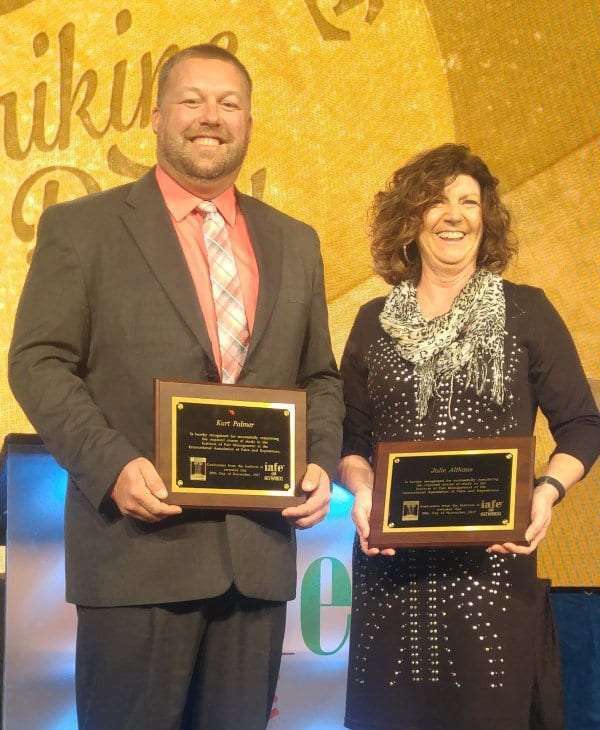 Palmer enrolled in the program two years ago and was one of 33 graduates honored at the IAFE Convention last week.